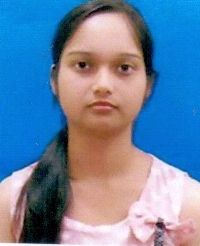 Mousumi Nath is working as an Assistant Professor in DPBC, Itanagar, Arunachal Pradesh. She holds a Master’s degree in English. She also holds a B. Ed. degree. Currently she is pursuing her Ph. D. from National Institute of Technology, Arunachal Pradesh. She presented her research papers in a number of International and National Conferences and Seminars. Her areas of interest include Ecocriticism and Nature Writings. She is a young and dynamic academician who has keenly interested in the issues concerned with the LEGH Movement. She is a lifetime member of FSLE-India, an International Organization based in New Delhi. She has been appointed as one of the Coordinators of FSLE-India for its Arunachal Pradesh Region.